I just finished reading “Life Nomadic” by Tynan and it was a great read. I find it really sad how many people are out there and they are so scared. The world is not a scary place. I’m sure there are some parts a little more frightening than others, but all in all the world is not a scary or dangerous place. Yes, I admit I was scared to first get on the plane alone and venture down here but, there is so much to see and to do. 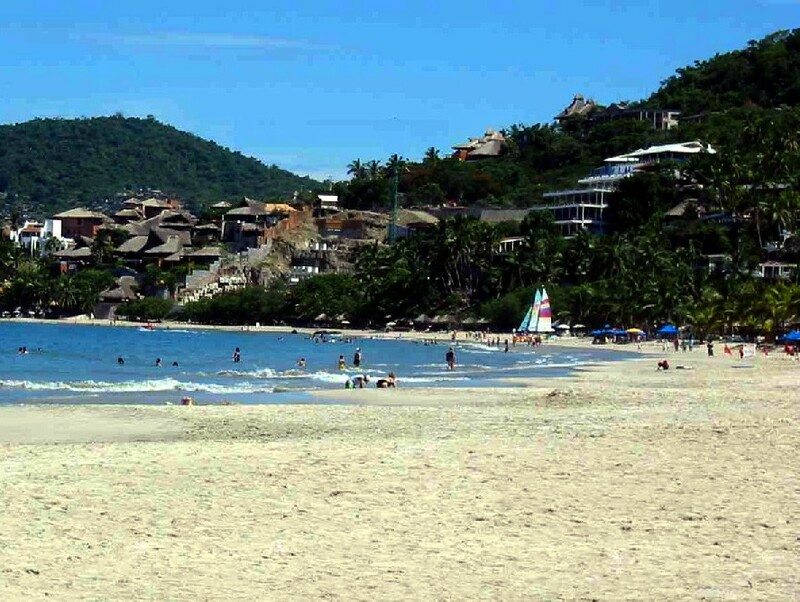 People who never leave their country or the “safety” of a resort are sheltered. They want to travel to a different country but they think resorts are the way to do it, because anywhere else would be too risky. I love Canada, it’s an amazing place to live. But if I have the opportunity to see the rest of the world, I’m going to take it. I’m going to live in an apartment where I have to wash my own clothes, cook outside, and the water runs cold unless you wait for the heat of the day so the sun warms it. It may sound terrible to some, but it’s a great life. I have a hammock down the center of my dining room, where I can write, work, hangout or just sleep. I grew up with parents who love to travel. My mom would never book a vacation at a resort. She would dig and dig and dig until she found a place that looked perfect. Sometimes, yes it would be a hotel. But never a big hotel that you can find anywhere, she would find something quaint and simple. 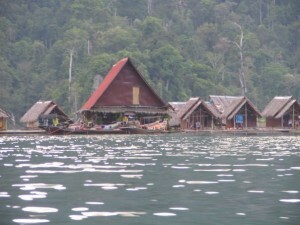 In Thailand she found this amazing place where we stayed in floating raft houses. 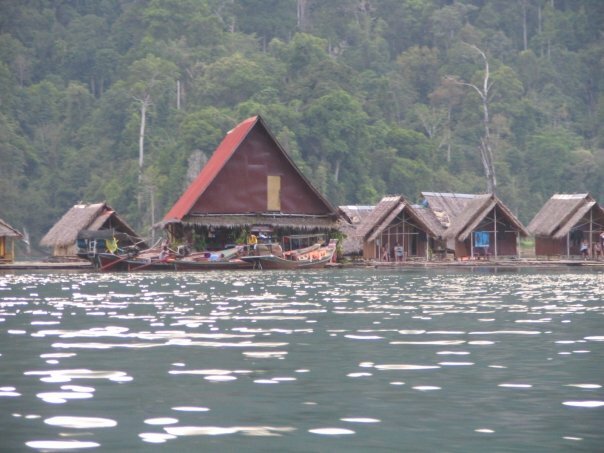 It was a string of little huts floating in the middle of a gigantic beautiful blue lake. There was a central area for breakfast, lunch and dinner, but other than that… nothing. She likes to find places out of the “norm”. Maybe that’s why I enjoy travelling like this. Or maybe it’s because I can go for a walk on the beach and see a little boy with a can of coke with fishing string wrapped around it and using it as a fishing pole or sit for hours with a Mexican “surfer dude” and talk for hours. You may love where you’re at at home, but you could be missing out on so much more away from home. If you had the chance to do it, to just go. Would you? If yes, then anything you say is just an excuse because you’re afraid. A cool breeze is hitting me on this shady patio as I look out on the lagoon in Zihuatanejo, Mexico. It is the first time I have felt that I could really get to work since I got here. There is no internet at my apartment and working in coffee shops when I don’t drink coffee just feels weird. Also the midday heat at some of those beach side vendors is just too much for my northern blood. I really haven’t worked in over a month now because of friends and family in to Puerto Vallarta for Christmas and New Years and then finding a place in Zihua that is comfortable enough to just sit and work. One of my favorite bloggers, Tynan, just posted an article called “Do Something Now,” as well as some of the comments reminded me of why and how I started this journey three and a half months ago in the first place. I wanted travel in my life, and lots of it. I wanted to be meeting more people and have fun learning a language. I wanted to build a business that I could run from anywhere. I wanted to live a life that used the online world, and wasn’t run by the online world. When I arrived in this city, I fell in love with the atmosphere, the people and the landscape. This really is a great place to escape to (I have met a few that seemed to have gotten ideas from the Shawshank Redemption). I found myself an apartment for the month with one problem: no internet at home. I could have found another apartment, but I don’t think I could have found another place this nice for this price easily. I tried to find cafés that had internet, but they just weren’t working well for me, then I tried going to internet cafés that were air-conditioned but they cost an arm and a leg. I started to get the idea that I needed to create a situation where I could work offline and just send in my work when I could get a chance. This was something I had thought about before, but had not really gotten set up. So I spent a few hours getting things ready, and started trying to work. I started making lists of things that needed internet and things that didn’t. Kinda like to-do lists for the internet cafés. I tried to only go to the computer when I had a list of things to do with the computer. And with the strong separation of work and access to the time drain of the web I got a nice set of things done, but at the end of every day when the cafés closed I would always feel like there was more I could have accomplished in the day. When I was working offline I would sometimes come up with a problem that I knew had been solved before and would usually just be able to look up, but instead I would have to wait or spend a few hours reinventing the wheel. I currently don’t think I’m ready for this kind of disconnectedness while working. I talked with a friend over drinks and dominoes last night and he said I could use his mothers place. It really is ideal. It has a view, a breeze, internet and no hourly cost. I don’t think I’ll be able to thank him enough. I will keep working on this problem, but for now I have a place I can go where I can really get stuff done and have the internet at the same time. I don’t think I even realized how quickly my departure date was coming. It felt so soon, but then couldn’t have been soon enough. As I wanted, it was a relatively quiet see you later to most people and a FaceBook status change for others. We had a small office going away dinner, thanksgiving at my parents place and thanksgiving at a friends place. I left October 15th as planned with my friend and we headed down to Portland. As my friend is vegan (see her website) we ate almost entirely at vegan/vegetarian restaurants including Blossoming Lotus Pearl, Blossoming Lotus Irvington, Bombay Chaat House, Sweetpea Baking Company, The Tao of Tea, Bye and Bye Pub, Bay Leaf, and the Van Hahn Vegetarian Restaurant. I may have missed a few, but they were all delicious. We also visited the Pittock Mansion, a beautiful place with kind and wonderful staff who really cared about the house and it’s history in Portland. Also we had a lot of fun saying its name… Either way I would definitely encourage anyone visiting Portland to take a tour of the house as it is like a blast from the not too distant past with an amazing view. Only a couple days later, October 20th, we had an emotional little drive to Seattle where I was to catch my plane to San Diego and my friend was to meet her dad and continue on home. I stayed two nights in San Diego, only one day. I had a quick bean burrito and went out to a bar to talk to some local people and find out what I should do for the day that I was in town. I got two suggestions, one was to go jump of a cliff (a fun pastime of mine) at Sunset Cliffs and another was to rent a bike in Mission Beach and go along the sea wall.